How to Regrow Eyelashes After Hypothyroid Treatment? Our bodies work in mysterious ways. Even after being into a biology class you can never fully understand how the body works until something catches your attention. One of the most puzzling features in our body is the hormones. Hormonal imbalance is normally the cause of a wide range of health problems in the body. When it comes to the hair, one hormone in particular facilitates its growth. The thyroid gland produces the thyroid hormones that enable the body to regenerate cells thus enabling hair growth. However, even the thyroid hormone can cause problems when not in balance. When not balanced, the thyroid hormones can either be overactive, hyperthyroidism or under active, hypothyroidism. In this article, we shall discuss how hypothyroidism affects the growth of the eyelashes. Hypothyroidism is a condition arising from an under active thyroid. It occurs when the T3 or T4 or both thyroid hormones are produced in lesser quantities than what is enough for the body. As a result, the activeness of the body is reduced drastically thus affecting the body’s ability to regenerate cells. This might lead to a wide range of problems as the body depends on the creation of new cells to carry on its functions. Statistics reveal that of the general population, women are more susceptible to developing hypothyroidism. It also shows that as one ages, the likelihood of developing hypothyroidism increases. Some of the major causes of this condition are lack of sufficient amounts of iodine and the Hashimotos disease. The Hashimotos disease in particular is as a result of the white blood cells attacking the thyroid cells. This in turn affects the thyroid glands leading to the production of lesser T3 and T4 thyroid hormones. Cardiovascular changes. The condition affects an individual’s cardiovascular rhythm and activities. Hypothyroidism increases the cold sensitivity of the body. There is an increase in weight regardless of taking control measures such as exercising or dietary changes. Even with enough sleep, an individual feels exhausted. Goiter disease. The thyroid gland increases in size. Adverse effects to the hair cause the hair follicles to change. The hair follicles become dry and brittle. This is also characterised by thinning of the hair follicles. This affects hair on the entire body. The skin becomes rough and dry resulting into irritation and itching. There is an increase in the level of cholesterol in the body. Persons with hypothyroidism have difficulty concentrating. From the information above, it is clear that hypothyroidism can be a cause of hair loss. When the production of the T3 and the T4 thyroid hormones reduces, the body’s ability to produce more cells is also affected. This is because the activeness of the body is reduced to less than normal. The body becomes less inclined to produce cells even when the existing ones become inactive. There are certain body parts that require constant production of cells to increase in length. Such like parts include the nails and the hair. When the body reduces or ceases to produce new cells, these body parts are affected adversely. The eyelashes as part of the hairs that cover the body are also affected by hypothyroidism. Due to the reduction in the production of T3 and T4 thyroid glands, the regeneration of hair follicle cells is reduced. At first, the eyelashes become stunted and the growth process of the lashes ceases. Failure to produce new cells means that only the older ones will be present. With time, the eyelash follicle begins to thin and eventually become brittle. The brittleness of the lashes makes them susceptible to breakage leading to eyelash loss. If the hypothyroidism condition is not treated, the loss of eyelashes can be severe leaving the eyes vulnerable to external factors. Once the condition has been treated, the hair loss can be managed. The eyelashes will grow back naturally after the treatment of the hypothyroidism has ended. However, this may take quite a significant amount of time. To stimulated faster regrowth, an individual can opt to use an eyelash growth product. The eyelash enhancer will stimulate the growth of the lashes making them grow longer and thicker faster. While doing this, ensure that the eyelash growth products you use are of the highest quality. Many cases of hair loss as a result of hypothyroidism are known to be temporary. This is a consoling aspect for many people especially women who are conscious of their hair. This means that the loss of natural eyelashes is temporary. It is advised that victims of this condition should exercise patience as the regrowth of hair including the eyelashes may take some time. 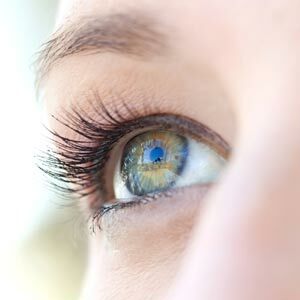 Due to the presence of the hypothyroidism and the medication used to treat it, the new eyelashes may differ in color and texture to the previous lashes. Do not be fast to use artificial remedies as they may affect the regrowth process. Be sure to maintain high levels of hygiene when it comes to taking care of your lashes. Use only quality eyelash growth products that will not harm your lashes. In many cases, the recovery process will be easier and faster when the individual accepts their present condition and seeks support. This will assist in developing a positive attitude.